We are heading into our final day of coverage, so let's finish strong. These are the songs that will never leave my playlist. Does the most celebrated ‘Tales of’ game still stand tall in its tenth anniversary re-release? In the latest edition of our weekly podcast, we go over the announcements of Persona Q 2 and Arc the Lad R, share our thoughts on the final major update to Chrono Trigger on PC, and more! And it contains some highly-requested features and bonus content. Controller rebinding patch set to release next month. Several more updates to the game's UI. Slowly but surely, our prayers are being answered as Square Enix changes the way combat looks. On to greener pastures but still inside the gaming industry. It's yet another edition of the Tetracast, our weekly podcast! We discuss the possibility of Xenosaga HD, NISA's continued woes with Ys VIII, Disgaea 1 Complete looking purdy, and much more! You can now toggle to the original sprite style in the PC port. We've accepted that we'll never play a complete version of FFXV in our lifetimes. The PC port of Chrono Trigger is being attended to. 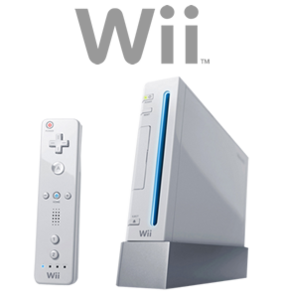 Nintendo bursts back onto the console hardware scene with the Wii, an all-new console that they promised would be a "revolution" thanks to a startlingly different, motion-based controller.